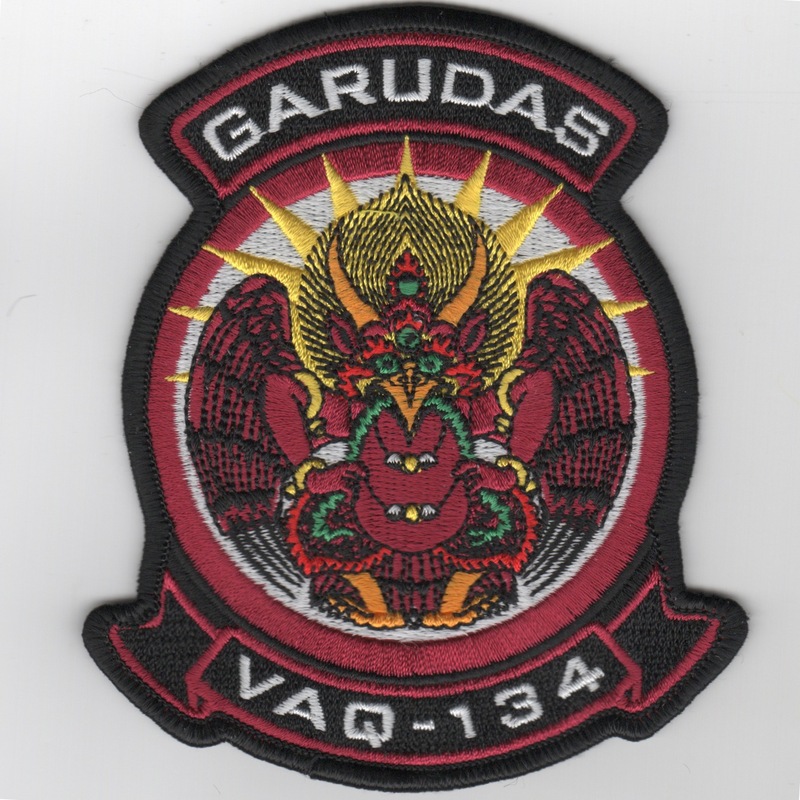 This is the color version of the current squadron patch for the VAQ-134 'Garudas' that flew the EA-6B Prowler, but now fly the E/A-18G Growler, out of NAS Whidbey Island, WA. This patch does not come with velcro already attached. 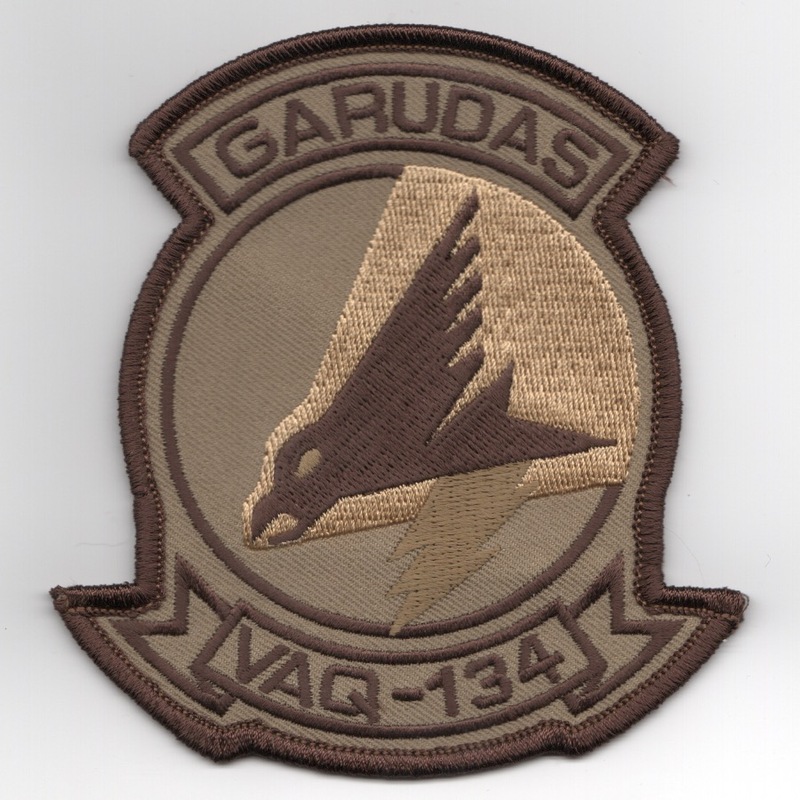 This is the desert version of the current squadron patch for the VAQ-134 'Garudas' that flew the EA-6B Prowler, but now fly the E/A-18G Growler, out of NAS Whidbey Island, WA. This patch does not come with velcro already attached. Based on an old Hindu myth, the Garuda is the bird that took Wisnu, the God of War, wherever necessary in his quest to protect God's creation from those evil forces that sought to upset and destroy it. 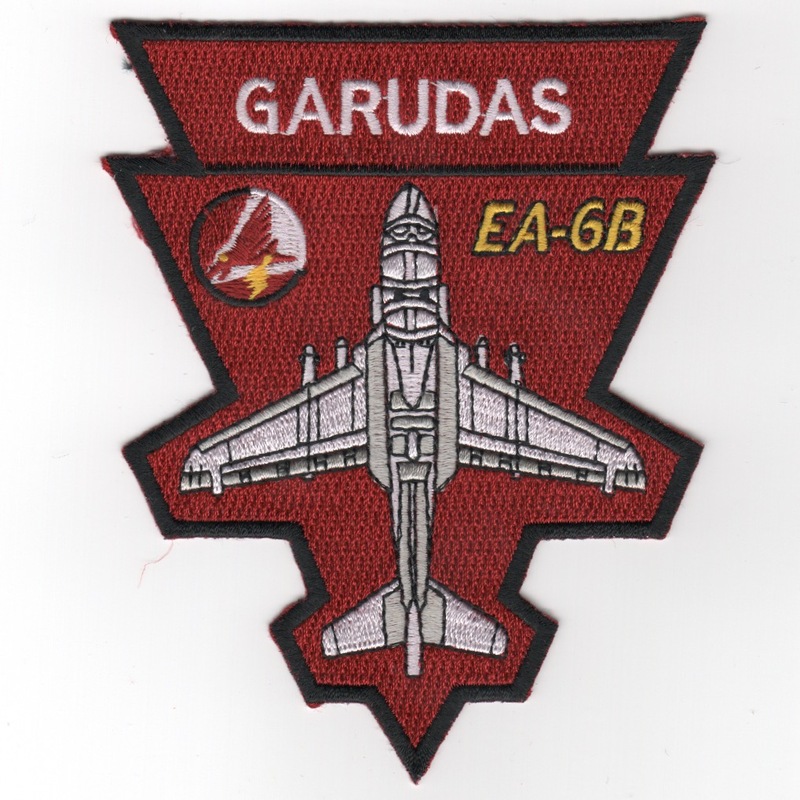 This patch commemorates that protector as the GARUDAS flew the EA-6B Prowler, but now fly the E/A-18G Growler, out of NAS Whidbey Island, WA. This patch does not come with velcro already attached. 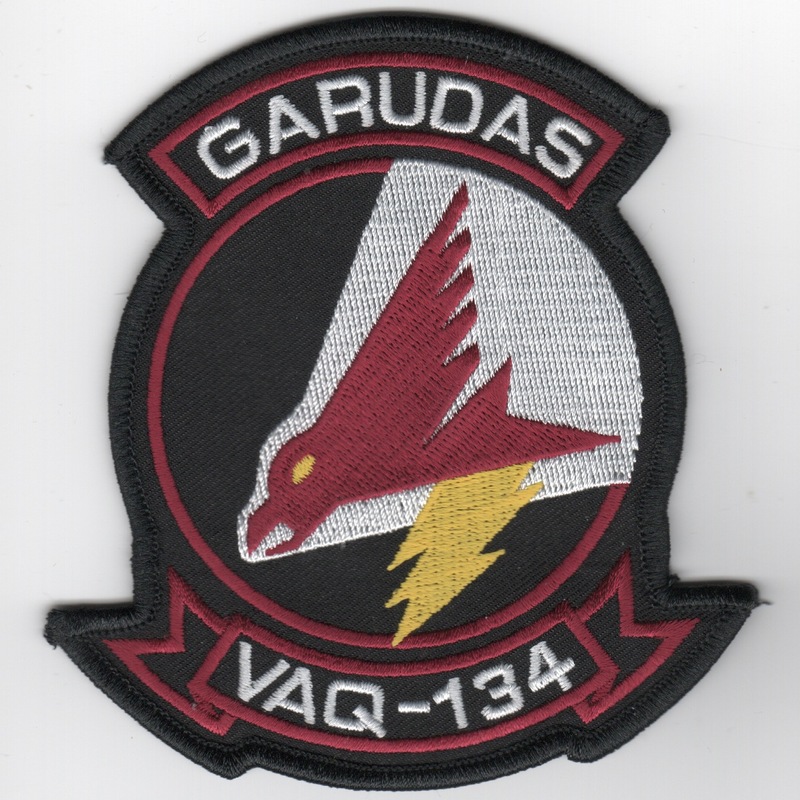 This is the red version of the EA-6B aircraft planform patch for the VAQ-134 'Garudas' that flew the EA-6B Prowler, but now fly the E/A-18G Growler, out of NAS Whidbey Island, WA. This patch does not come with velcro already attached. 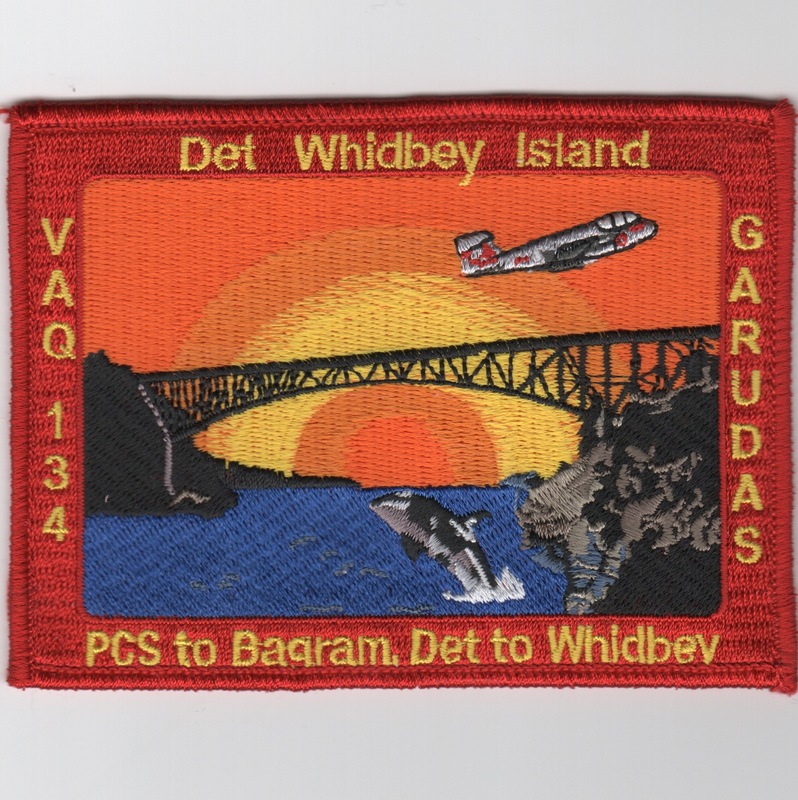 This is the color version of the "PCS-to-BAGRAM-to-Whidbey" patch for the VAQ-134 'Garudas' that flew the EA-6B Prowler, but now fly the E/A-18G Growler, out of NAS Whidbey Island, WA. This patch does not come with velcro already attached. 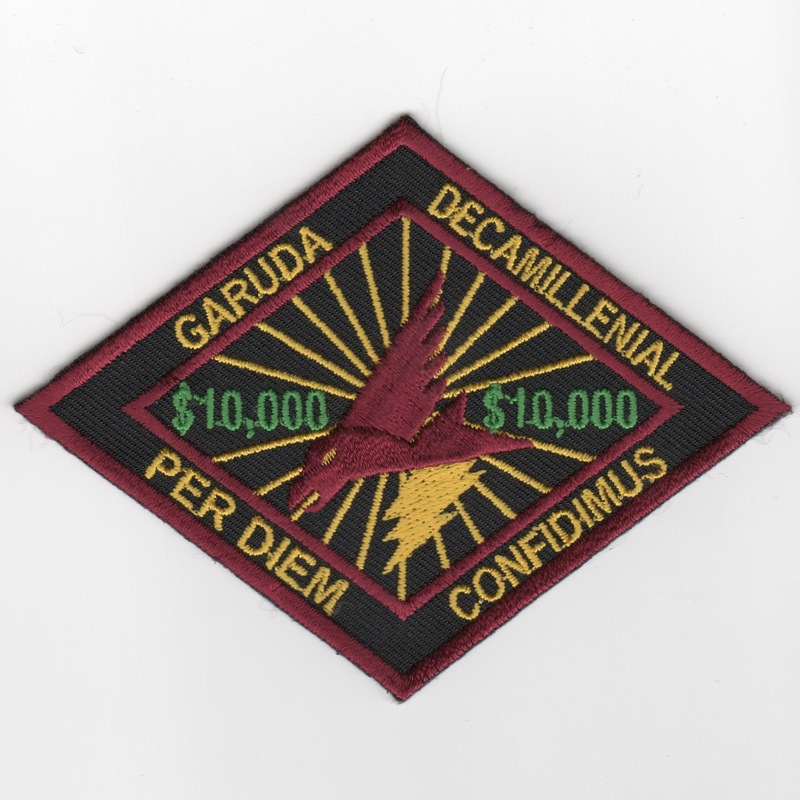 This is the black/maroon version of the $10K "PER DIEM" patch created by the Garudas for their move(s) from multiple locations, from "deployed" to CONUS (Whidbey Island, WA). This patch does not come with velcro already attached. Homepage | Order VAQ-134 Patches!